Perhaps you’d like us to pack for you? We’re experts at it, so you can leave it all to us. Pre-packs are usually carried out one day prior to your removal. On larger jobs, packing may be spaced over two days. Our helpful sales consultant will be able to advise you what packing solution would suit your house or office and help devise a removal plan that meets your needs. If you decide to pack yourself we can arrange all the packing materials you may need prior to the removal day including cartons, tape, white paper and on the day of uplift port a robes for hanging articles of clothing if required. At Bells Moving and Storage we believe in helping our planet whenever we can, so we use good re-cycled cartons where-ever possible, however if you would like new cartons please advise either your sales consultant or phone our helpful customer service staff. Please write your carton location i.e. Kitchen contents on the taped section of the carton. To request a quotation, please phone us on Freecall: 1800 010 060 or Phone: (03) 6229 9099 or fill in the Quick Quote form on the right. Prior to your removal our sales consultant will visit your home and with you discuss what you would like to move and if you would like our professional moving team to pack your belongings. 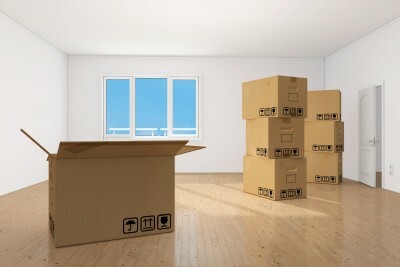 At this stage you may decide to pack the breakables yourself but at any stage before your removal date you may decide that you would like Bells Moving and Storage to professionally pack your belongings please contact our helpful customer service staff and we will make the appropriate changes. Our pre- packing team arrives the day prior to your removal uplift date (a date determined between you and our company) and commences with the largest rooms in the house and moves through to the smallest, packing all items into the appropriate size cartons. Each carton is individually marked with the name of the contents and the room from which it came. The removalists that have been allocated to your removal will load your furniture and effects and then deliver to your new residence making sure that they place, along with the furniture the cartons into the required rooms under your guidance and content details on the cartons. In many cases, our clients prefer to un-pack their own goods. In their own time, however we do offer a valet unpack which you will need to discuss with your sales consultant or customer service staff.